Now known as the Atlas (2014). Mr and Mrs Alec Phillips came to the Atlas in Seagrave Road over nine years ago. 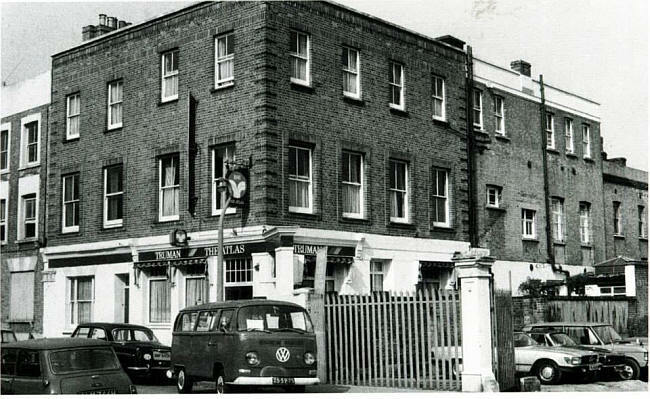 In that time they have mainly concentrated on building up a good family trade, although being very close to Earls Court they have made many friends from past exhibitions, and also count several of the stand constructors amongst their customers. 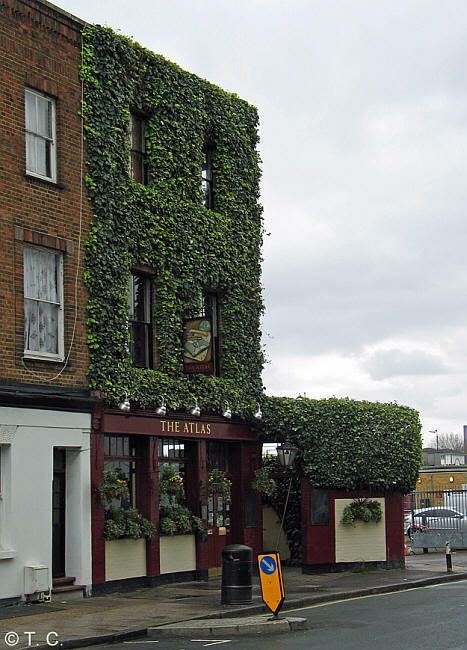 The Atlas is Mr Phillips' first pub; before entering the trade he was in Fleet Street for over 30 years, spending a lot of that time with the Daily Sketch. He was mainly concerned with processing in the Dark Room and was in charge of that side when he left the paper. His last important job was processing all the photographs taken at the Coronation in 1953 for the Sketch. During the war Alec joined the RAF and was immediately transferred to the Photographic section at Whitehall where his experience proved very useful. 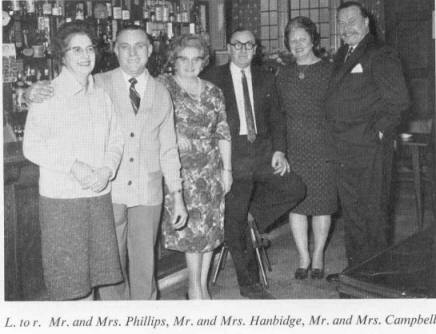 Mr & Mrs Phillips (Atlas), Mr & Mrs Hanbidge (Wheatsheaf), Mr & Mrs Campbell - all Truman licensees (from left to right) - in 1963.